Privacy, protection, and somewhere to rest your favorite refreshment - what more could you want while relaxing in your spa? 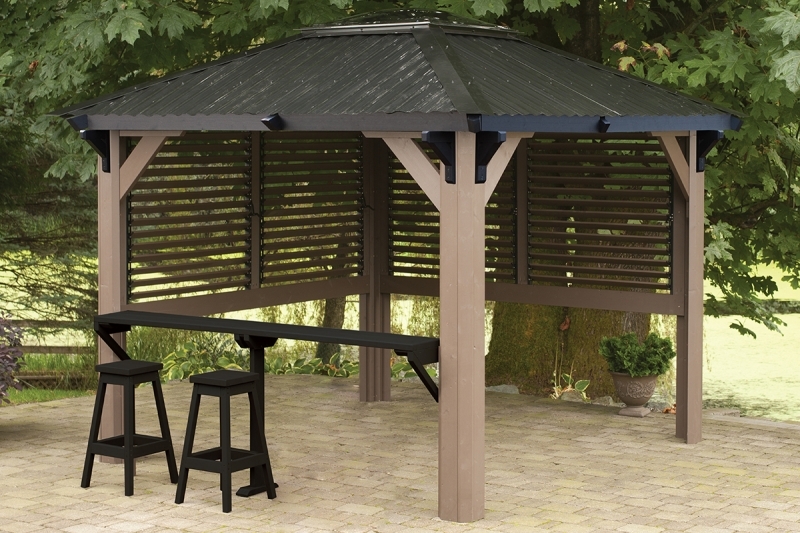 It's louvered on two sides for protection from the wind, open at the front and has a bar with stools on the remaining side. The louvered windows close for windy days, making it an all-season structure. An extra louver panel is available for more privacy if needed.